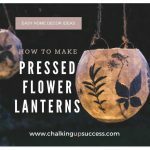 How to make beautiful pressed flower lanterns - Easy DIY - Chalking Up Success! There’s something magical about this time of year don’t you think? The vibrant shades of russet reds, tawny browns, amber and golden tones of nature make for a colourful transition from Summer to Autumn. Although the dark nights are already drawing in and the air is turning a little cooler, I for one am all for stretching out the time we have left of our ‘outdoor living life’ for as long as I can. Lights and lanterns are a great way of creating a cosy atmosphere and adding extra special light to your sitting area which in turn, will help you extend your evenings outdoors. Layer up with some cosy blankets to snuggle up under, sit back and take in the beauty of the season! This year, we added some outdoor lighting to our garden. We placed spotlights under certain trees and grasses which really add an extra dimension to our garden after dark. To cash in on this effect, I thought it might be nice to hang some lanterns in the trees or add some around our sitting area. When our boys were little, we made lanterns every year in Autumn. 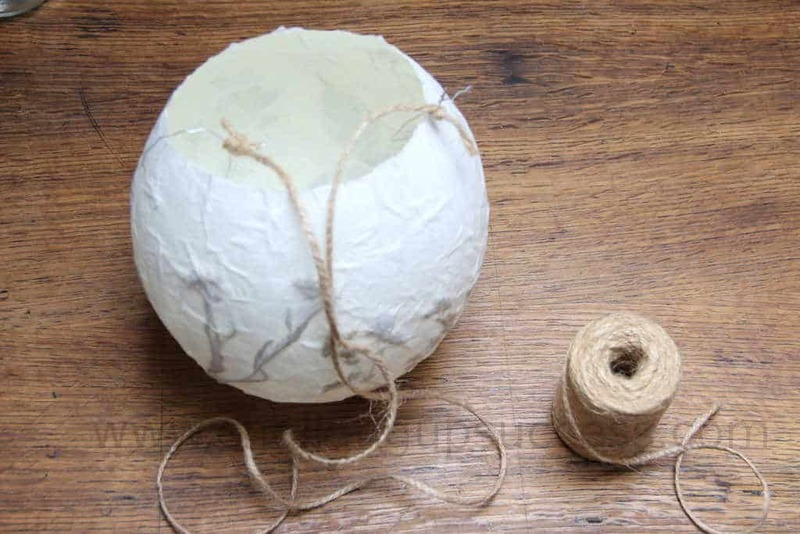 It was one of the many crafts we all loved doing and of course, the outcome of it was always stunning. Seeing those homemade lanterns glow in a festival of Autumnal colours was always an added highlight to these spectacular Autumn days. Now that our boys are older and our lantern making tradition has long expired, I thought I’d have a go at creating an adult version of our Autumn lanterns. One of the best ways I know of to ‘preserve summer’ is by pressing flowers. 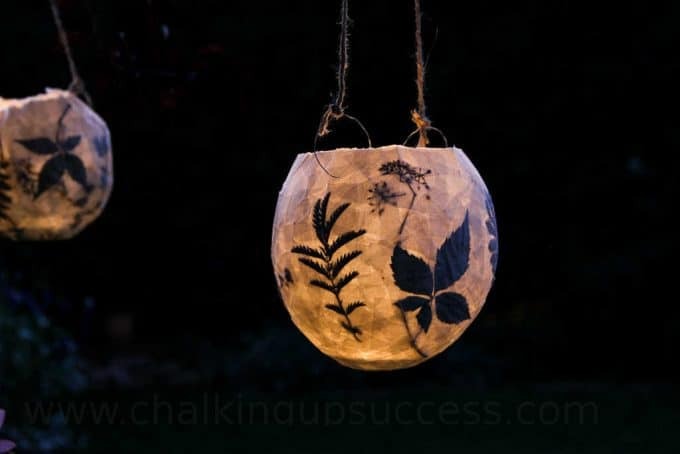 The great thing is, you don’t even need to have a garden, you can create these lanterns with wildflowers, curbside flowers or even various types of fallen leaves. Don’t let the fact that you don’t own a flower press put you off either, my DIY version below will work just as well. 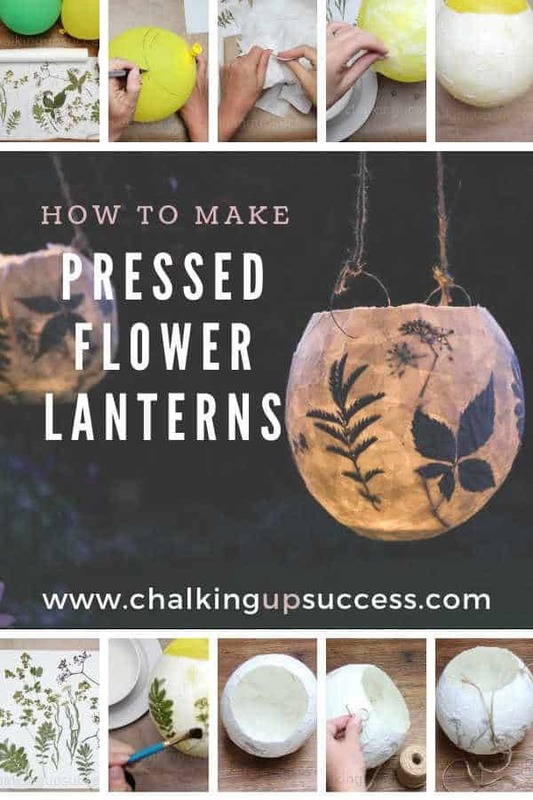 If you don’t want to go through the process of pressing your own flowers or you want to make this craft without waiting for flowers to dry out, you can always buy some ready pressed flowers. You can find a great selection of pressed flowers here on Etsy. Of course, if you have little ones, you can always try this craft out with them too (under supervision of course). Go on a flower collecting expedition together and show them how they can press the flowers themselves. I’m giving you fair warning though that this craft can be a little messy so if you don’t want them wiping their gluey hands in their clothes, I’d recommend having them wear a crafting apron or some old clothes for this. We always kept a pile of old sweatshirts and trousers that the boys could wear for painting and crafting. Exchange pressed flower lanterns for Jack-O-Lanterns! When they were little, our boys loved to make these lanterns with orange transparent paper and decorate them to look like Jack-O-Lanterns. 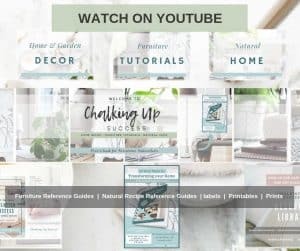 However you decide to make them, I guarantee your children’s eyes will light up when they see what they’ve created and you will have made a harvest of wonderful memories too! 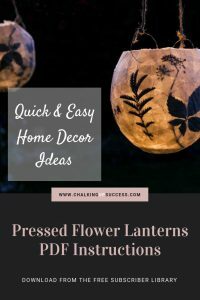 These pressed flower lanterns require a little preparation in advance. The flowers will need to be pressed before you begin but don’t worry, you don’t necessarily need a flower press for this. 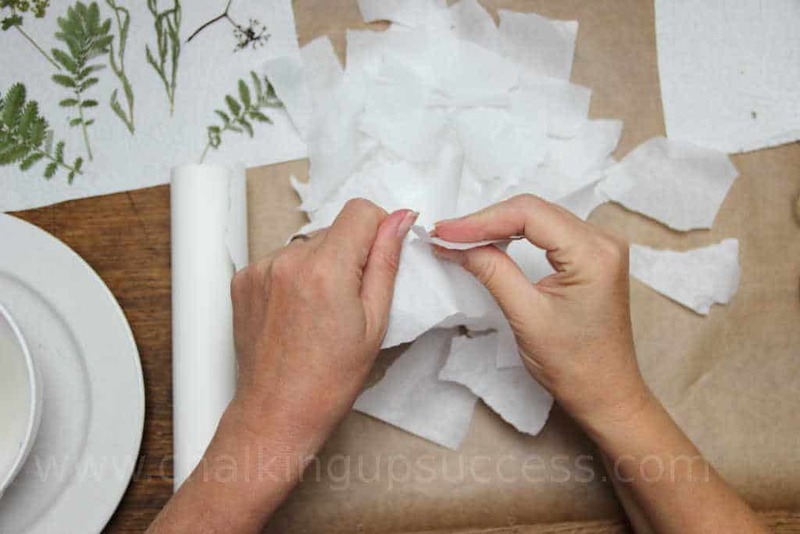 Space your flowers out between two pieces of absorbent kitchen paper and weigh the whole lot down with something heavy. In my case, I used a stack of magazines and books. I waited two weeks before checking them and then left them another week because they weren’t quite ready. The amount of time it takes for the flowers to dry out depends on the type of flowers you use. Thin-stemmed, small flowers will take longer than thicker, larger flowers and stems. 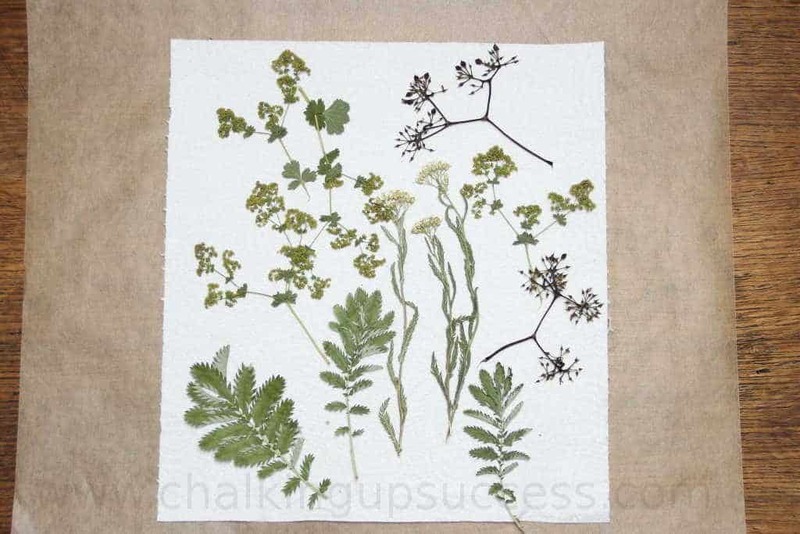 I used some thin meadow flowers and small ferns and like I said, it took around three weeks for them to dry out enough to use in this project. Somewhere to hang your lantern while it dries. First, blow up the balloon to the size you want your lantern to be and tie a knot in the neck. 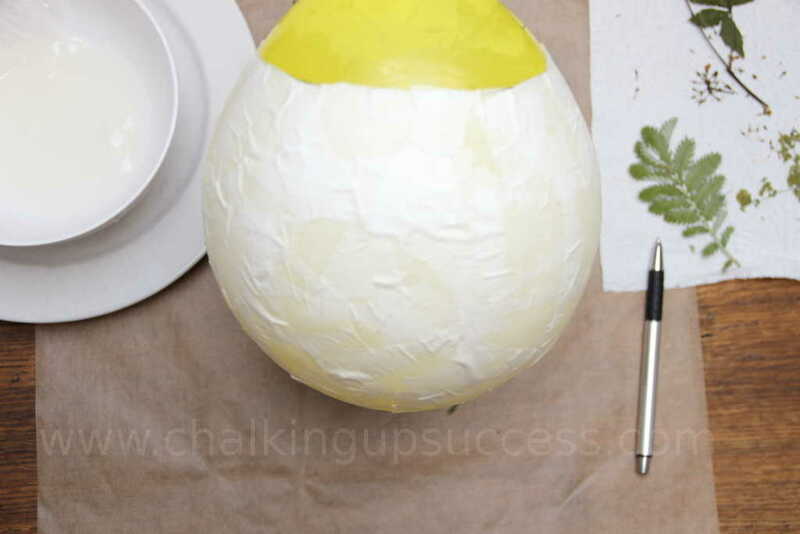 Draw a line around the top of the balloon which will help you identify where to stop adding paper to allow for the hole at the top where you will add the candle later. (Remember, you will also need to remove the balloon so the hole needs to be big enough for you to get your hand in comfortably). 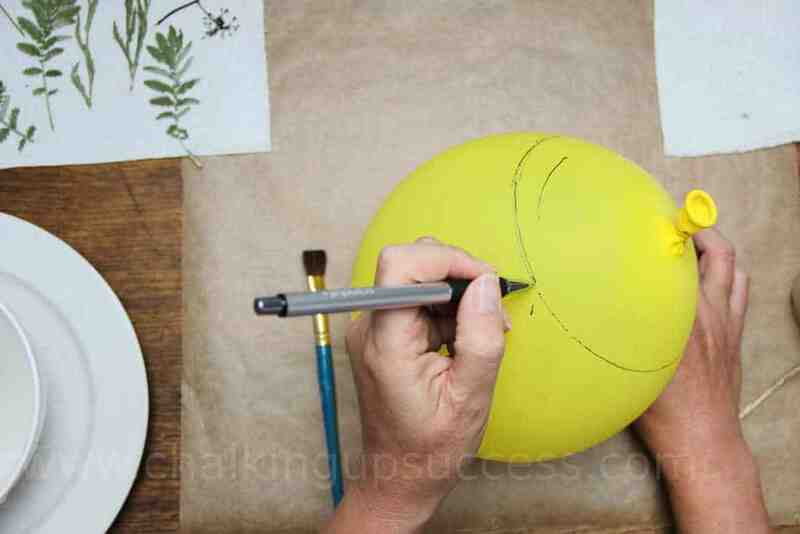 I placed my balloon onto a small flower pot and traced around that – no, I can’t draw such perfect lines free hand! Take your transparent paper and rip it up into small squares of around 4cm x 4cm. 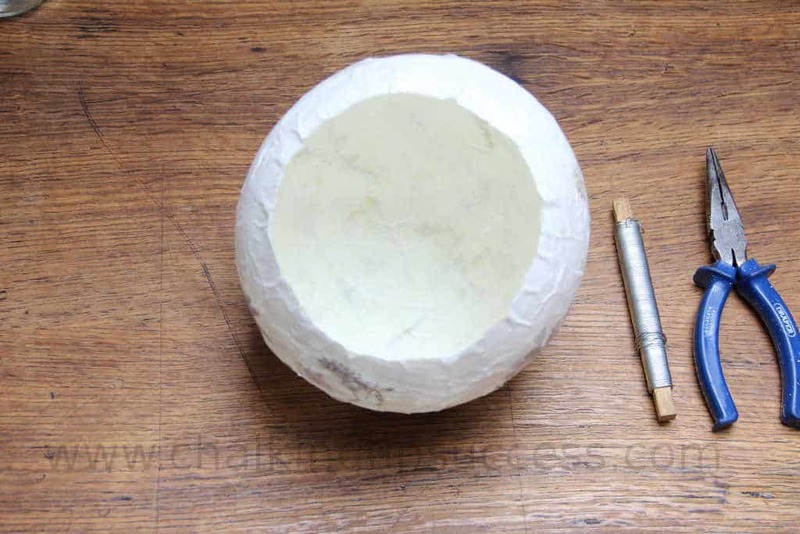 Mix up a batch of wallpaper glue in a bowl according to the instructions on the box. 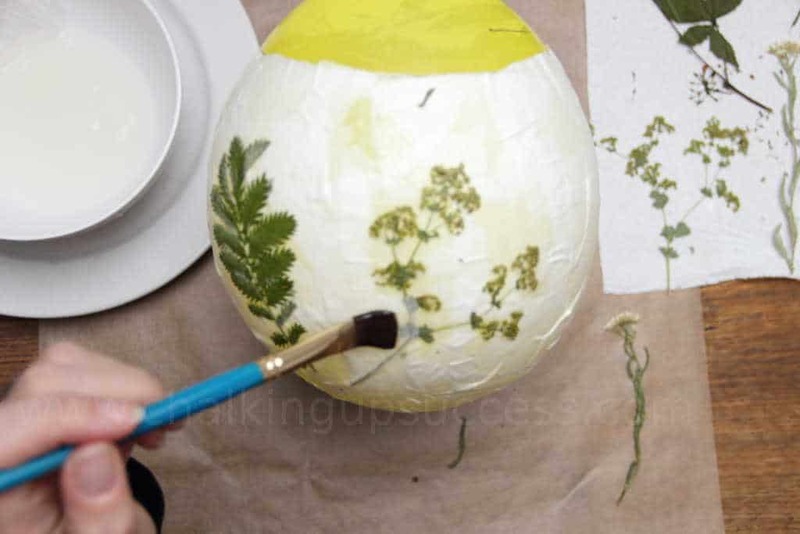 Starting from the bottom use a paintbrush to cover a small section of the balloon with glue. 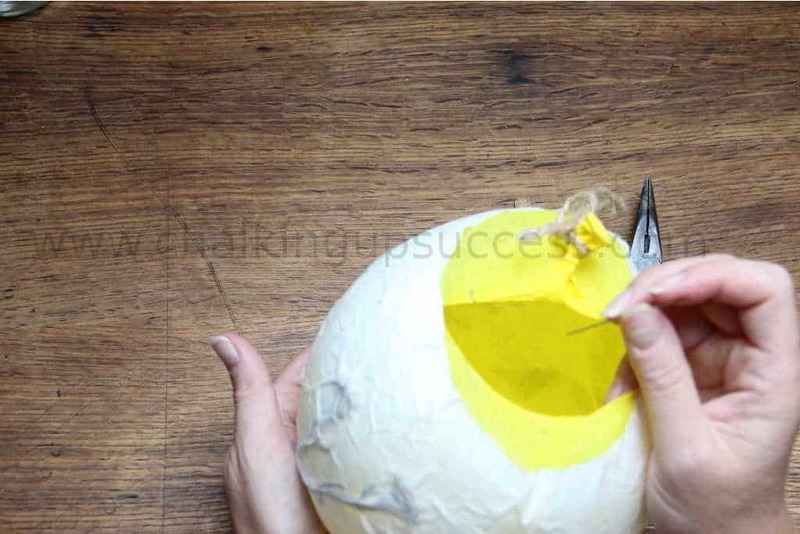 Layer the paper squares on to the balloon overlapping slightly as you go and brush on more paste over the top of each piece. Work your way up to the line you drew earlier and stop there. Allow to dry. 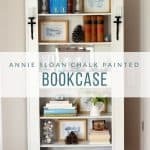 TIP: If you need to pause the project or you are letting it dry overnight, wash out the paintbrush with cold water and cover the paste with some clingfilm. The paste will still be good for a couple of days like this. Add another layer of paper squares to the lantern working from bottom to top again as before. 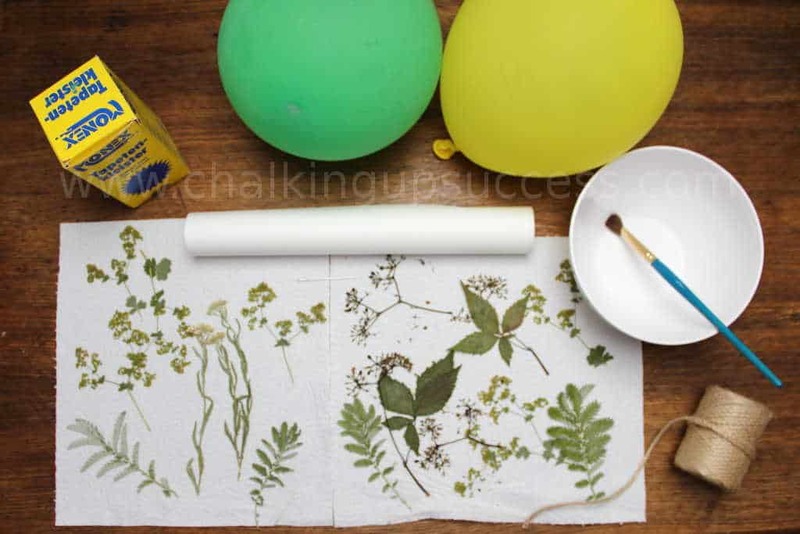 Now you can add the dried flowers, brushing a layer of glue over the top of each one. Allow to dry. 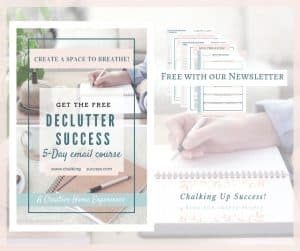 (Depending upon which type of flowers you use, you may find it necessary to immediately add some paper squares over the top of the flowers to make sure they stay put). Finally, add another layer of paper squares over the top of the flower layer and allow to dry. TIP: Any leftover paste should be scraped into the bin. Don’t try to wash it down the sink unless you want to clog up your pipes! 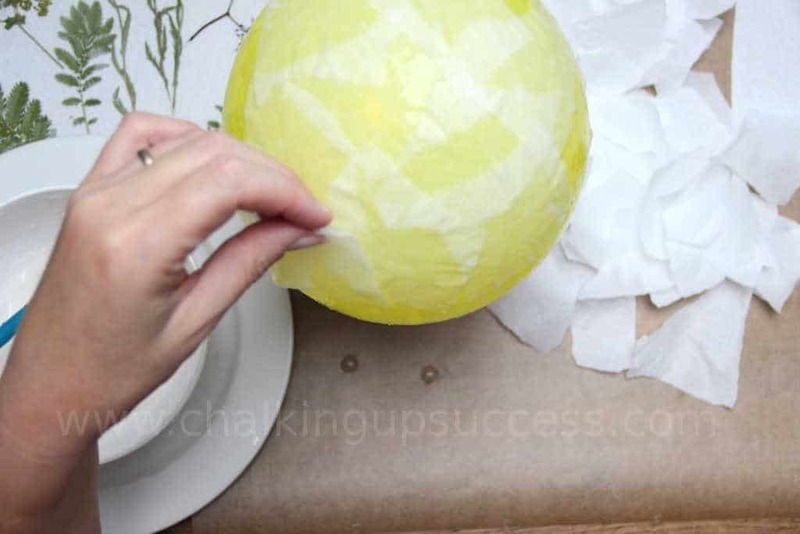 Using the needle, pop the balloon and remove it completely. You may need to scrape it a bit. Your pressed flower lanterns are almost finished. 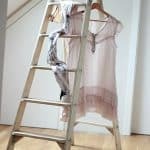 The very last step will be to make some rings for hanging. I used some silver craft wire to make mine. You just need to cut two small pieces of wire and push one end of each through the lantern on each side. Twist the wire to make a small ring. 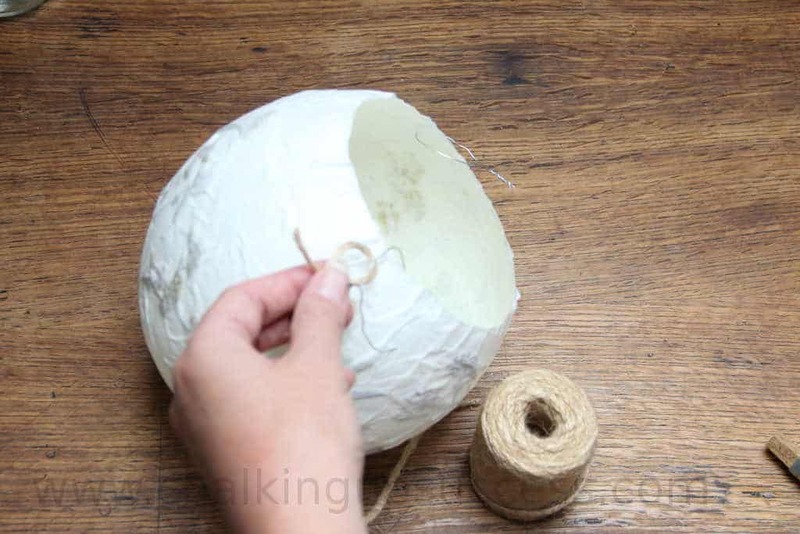 Tie some jute twine to the rings and make the handle as long as you need it to be. In my case, I wanted to hang these in the trees so I made my ties quite long. So, there you have it! 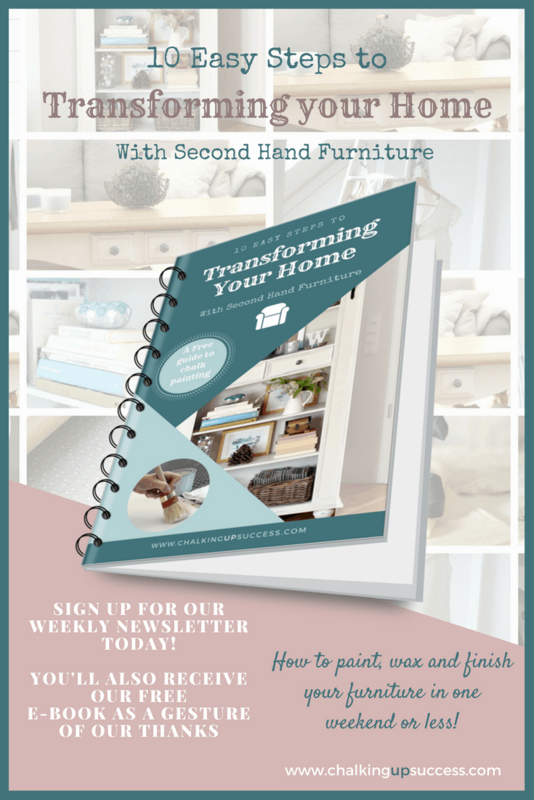 Another beautiful and easy DIY. All that’s left to do is to place a candle into your lantern, hang it up and enjoy your beautiful Autumn evenings under the harvest moon! 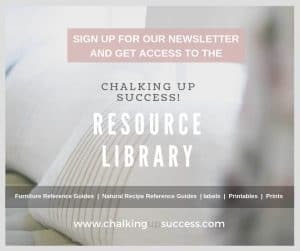 Sign up to our Weekly Newsletter to access this download for free!